← Crappy Album Covers #275 — What’s that in your pipe? They call themselves a quartet. That might be because the other 3 folks in the picture are the mechanics. In Deep East Texas, you repair your own damn touring vehicle! Chicks dig motorcycles. 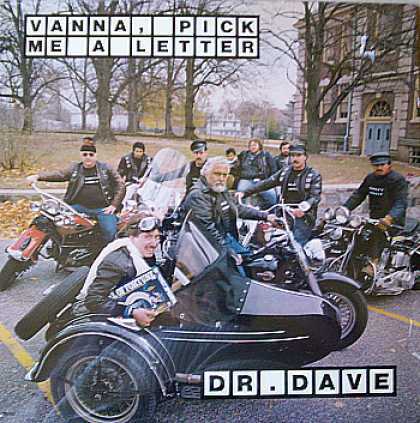 Dr. Dave had a novelty hit with “Vanna, Pick Me A Letter“, sung to the tune “The Letter” (a #1 hit in 1967 by a group from Memphis Tennessee, calling themselves The Box Tops). “Vanna” was a staple on the Dr. Demento show, having been played on 38 episodes between 1986 and 2008. Dr. Dave (David Kolin) channels his best Cheech Marin imitation (at least that’s what it sounds like), making it a matter of debate in the song that phone is spelled F-O-N-E, and trying to convince Vanna to come to his place to play The Home Edition. 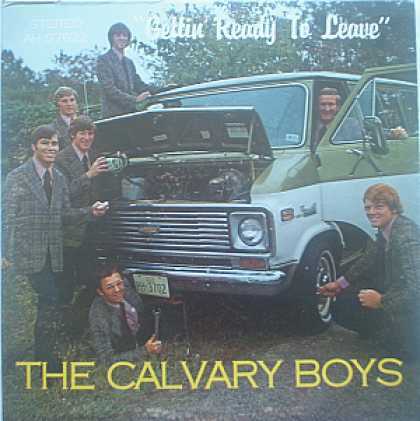 What you are looking at is the cover of their 12″EP released in 1986.